On September 28th the City of Ottawa, along with local partners, hosted 120 members of the Ottawa arts and business community to discuss the future of innovation and cross-sector integration in Ottawa. 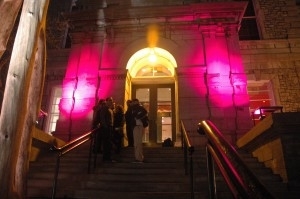 CT Labs had the pleasure of convening the group at Arts Court in downtown Ottawa. What do we need to do to create a place that sparks opportunities for creative thinkers to collaborate and innovate for a better Ottawa? To read more about the event, check out Vera Grbic’s awesome article in OttawaLife Magazine.